Famously known as the abode of gods and goddesses, Himachal Pradesh is home to these eight shakti peethas that have been source of divine power for centuries. 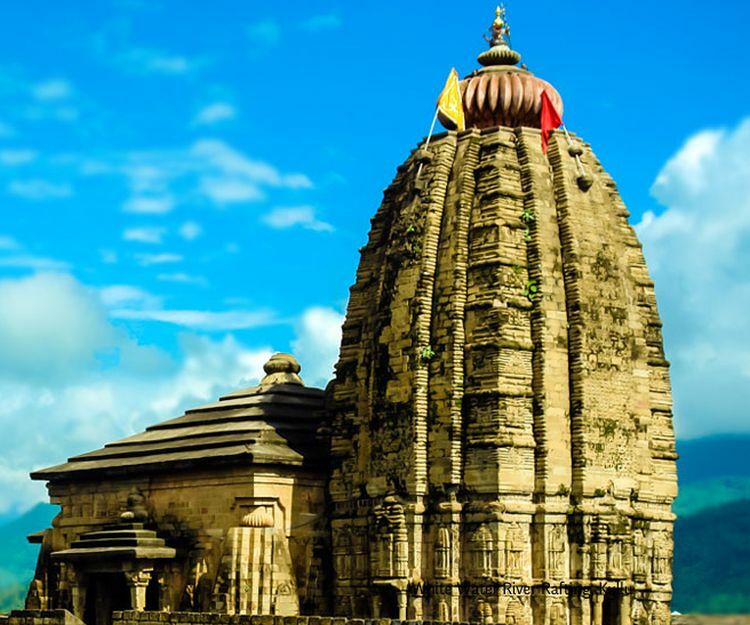 These beautiful temples situated high on hilltops are famous for various reasons. Most of these temples are one of the 51 Shakti Peethas located in the hills. Here is a list of eight famous Devi temples in Himachal Pradesh that are visited and worshiped by millions of visitors every day. One of the most famous 51 Shakti Peethas, Jwala Ji temple is a shrine of eternal flame even emperors and time couldn’t extinguish. Th goddess Jwalamukhi with flaming mouth, also known as flaming goddess, is worshiped in the shrine. According to Indian mythology tongue of Maa Sati fell here. Apart from that, the idols of goddess Siddhida Ambika and Lord Shiva sit here. 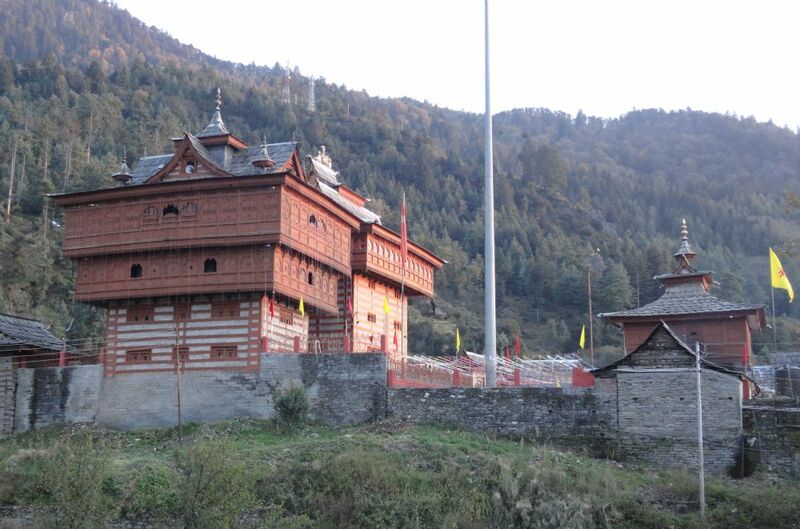 The Chamunda Devi temple is located in Kangra district of Himachal Pradesh. It is believed that the battle described in the Devi Mahatmya took place. According to the legends, Kali killed the two generals of Shumbha and Nishumba called Chand and Mund. This is where Kali received the name Chamunda. To commend the godless Kali’s great achievement, Ambika declared that she would now be worshipped as Chamunda. Once one of the most famous piulgrimages in North India. It is a Durga Shaki Peetha and one of the oldest temples in India. However, the temple was reconstructed back in 1916 following a devastating earthquake in 105. The temple is dedicated to goddess Vajreshwari Devi. The goddess Sati Parvati is worshiped in the form of Pindi. According to legend, the goddess got injured while fighting and finally killing the demon Mahishasur. The wounds of the goddess were cured by applying butter. Sincer then, the tradition is alive and realized on Makar Sakranti every year. Situated amidst high mountains in the mighty Himalayas, the Chintpurni Devi temple is one of the most famous shrines dedicated to goddess Chintpurni Devi in Una district of Himachal Pradesh. Thousands of people flock to this place everyday with world concerns to seek solutions and blessings of the goddess. The legend has it the temple was erected at its place after the goddess revealed herself to one of her devotees named Mayi Das. The place still has the Idol/pindi of the goddess without head. The pious image is of Chinnmastika, which literary means the goddess without head. 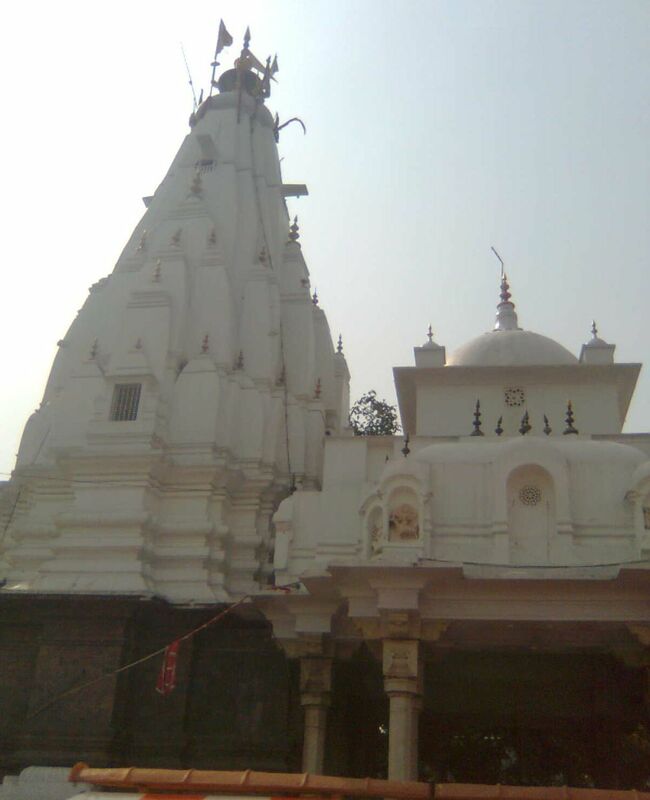 Sheetla Mata temple is situated in Gehrwin, Bilaspur. 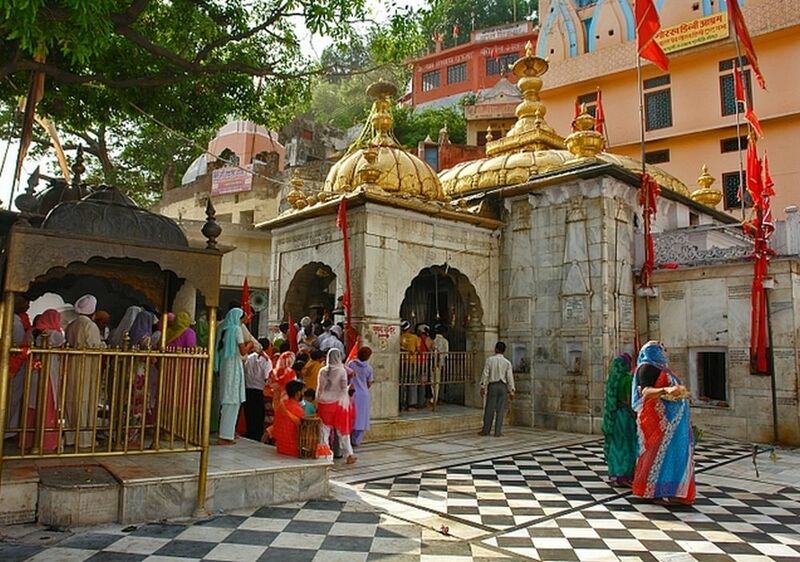 Like the Golden Temple, Sheetla Mata temple is also built in the middle of a large water pool. A pathway made of concrete leads a pilgrim to the temple. It is believed that the idol of the deity was sculpted at Makhowal, Anandpur Sahib. Sheetla Mata is believed to be the younger sister of goddess Badol Devi. People believe the goddess likes cool and peaceful environment, this is why the temple is situated amidst watery surroundings. The goddess is known for warding off heat from her devotee’s body. Diseases like small pox and chicken pox are believed to be the manifestation of the Goddess in human’s body. 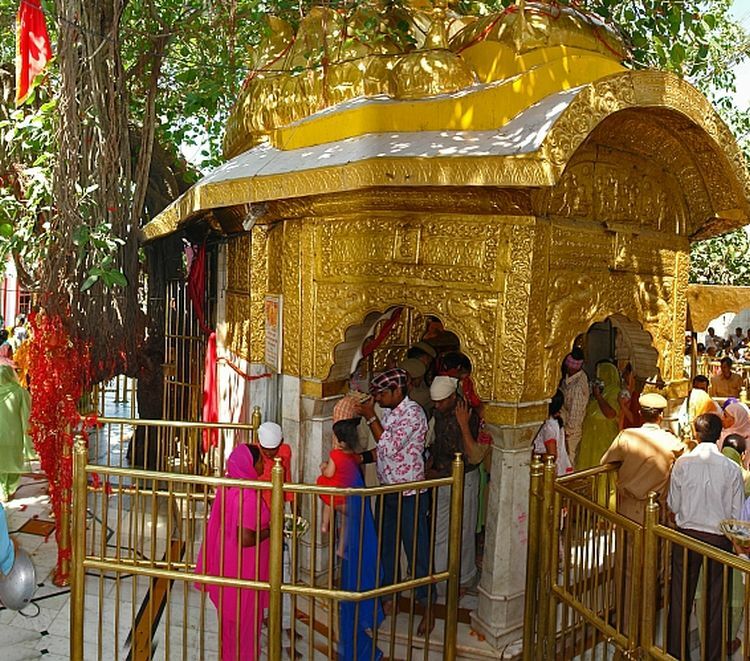 The temple of Shri Naina Devi Mata is situated on a hilltop in Bilaspur district of Himachal Pradesh. The temple premises, which are well connected through a ropeway offer an extended view of the Gobind Sagar Lake – a man-made lake on Sutlej River. The ropeway that connects the temple to the foothills takes pilgrims across a 10-minute-long flight of about 1 km to the top. The ancient temple with beautiful architecture and mind-blowing settings, Bhimakali temple is center of attraction of Sarahan. The place that offers great views of Shrikhand Mahadev rests in the middle of apple orchards and deodar forests. The temple is home to Maa Bhimakali, deity of the rulers of former Bushahr state. Sarahan, which was once known as Shonitpur, is the place where Lord Shiva disguised himself as Kirat, according to the legends. The temple complex comprises of two ancient style towers. Top floor of the ancient tower is the place where the silver-encrusted goddess resides. Pilgrims are not allowed to carry cellphones and cameras inside the temple, which clearly implies that photography is strictly prohibited inside the temple. Located at a distance of about 100 km from Shimla, Hatkoti temple is known for its architectural beauty and great religious significance. The temple which dates back to the Gupta period was built by Guru Adi Shankarcharya. 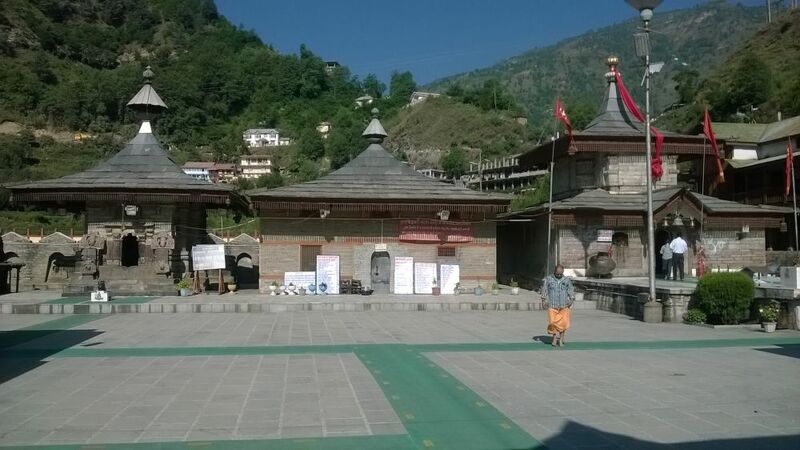 The Hatkoti shrine is a group of temples located on the banks of Pabbar River. The goddess Durga sits in the main complex of the temple, whereas the other ones house deities like Shiva, Ganesha, and Parvati. The temple complex is erected in the middle of green fields well-guarded by high mountains all around. The Shikhara-styled temple with sky-piercing tops attract tourists and pilgrims alike.